Check out this adorable, move-in ready 1 bedroom/ 1 bath condo in the 40 W Arts District. 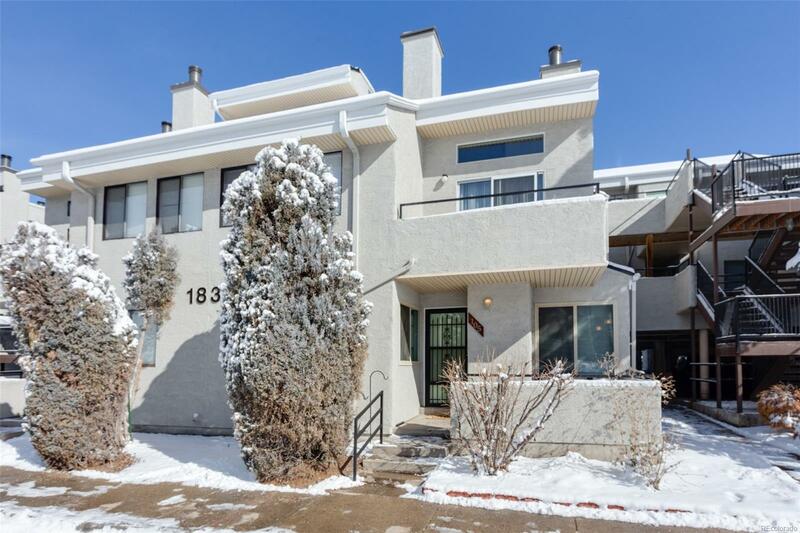 Walking distance to Sloan's Lake/Edgewater. Quick commute to downtown Denver. Updated kitchen with newer maple cabinetry, solid surface counter tops, mosaic back splash and a brand new dishwasher. Real hardwood floors in the living area. Bright and sunny with great natural light. This condo also features central A/C, a newer water heater and a newer washer/dryer. Low monthly HOA dues ($183/mo). Reserved, covered parking just steps away from the unit. The pool and clubhouse are just across the street too! Set up your showing today!